It is kind of funny how quinoa (pronounced KEEN-wah) has become such a household staple in recent years. It has been eaten for hundreds of years. It was an ancient grain, technically a seed, found in South America. 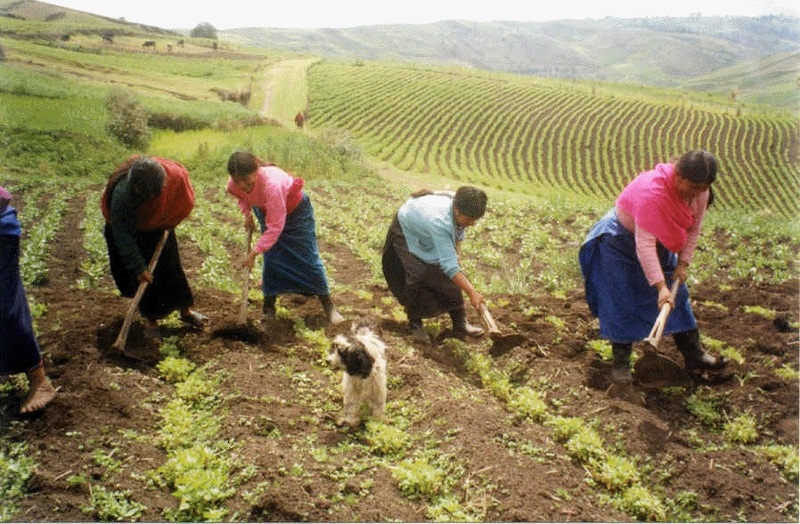 Those Incas ate quinoa all the time because they knew it provided them with tons of energy and nourishment. I think quinoa gets a back rap for the process of having to cook it. You have to rinse it really well or else it can turn out bitter or taste soapy. A lot of boxed quinoa is pre-rinsed, but it doesn’t hurt to give the seeds a quick additional rinse at home. 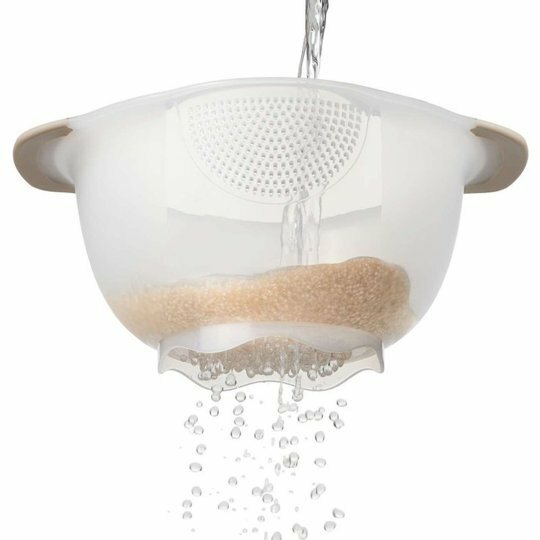 Speaking of rinsing it, here is a fantastic new rice and quinoa strainer from OXO that is perfect for this job. 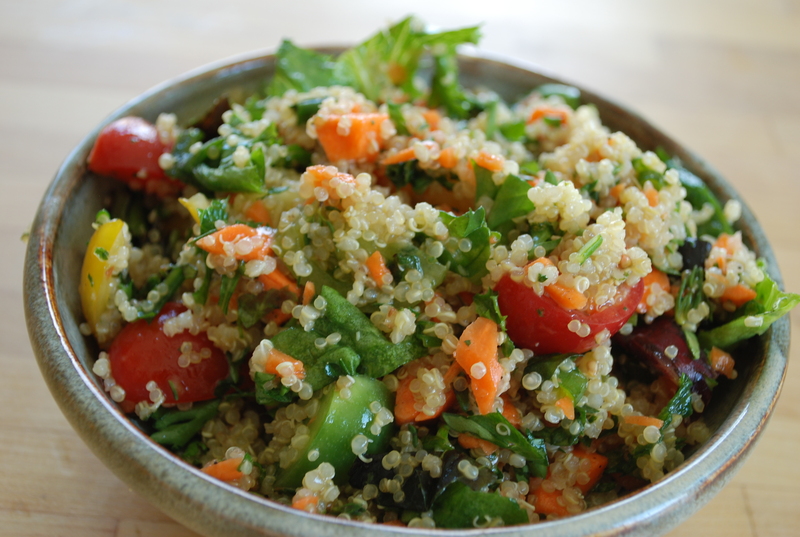 You can use quinoa just as you would any other grain, like rice or barley! It makes for a fantastic side dish for almost any meal, especially if you cook it with broth instead of water and add a bay leaf to the pot. I use quinoa (specifically red quinoa) for my breakfast cereal. It is truly versatile because it can be made sweet or savory. My other favorite way to eat it is to throw in a half a cup of cooked quinoa into any salad. It adds fun texture, but because of its mild taste, it can go with any salad and not change the overall flavor. How much cooked quinoa does 1 cup dry quinoa yield? 1 cup dry quinoa yields about 3 cups cooked quinoa. How much liquid do I need to cook quinoa? To cook 1 cup quinoa, you need about 2 cups liquid. How long does it take to cook quinoa? 1 cup quinoa will cook in about 20 minutes. How do I make quinoa less bitter? Nearly, if not all, of the natural bitterness of quinoa's outer coating can be removed by a vigorous rinsing in a mesh strainer. 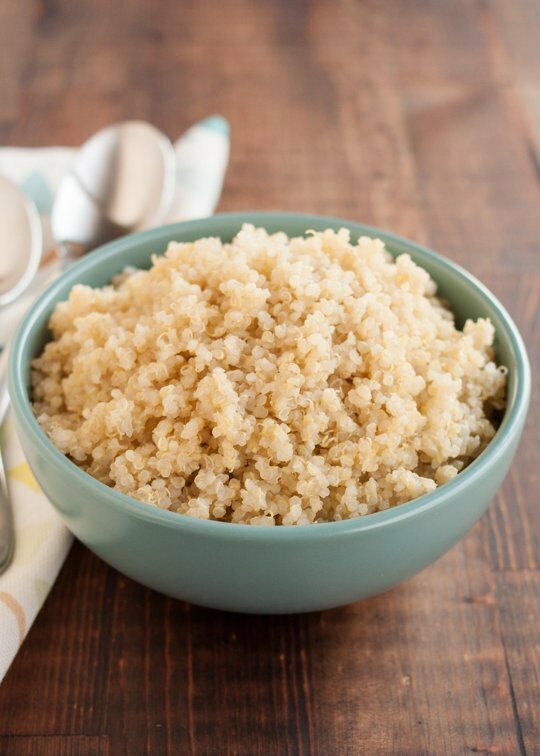 How do I make better-tasting quinoa? Quinoa is really excellent when cooked in vegetable or chicken broth. Also, add about 1/4 teaspoon salt to each cup dried quinoa when cooking. Try adding other spices and aromatics during cooking as well, like a clove of smashed garlic, a sprig of fresh rosemary, or a dash of black pepper. Can I use my rice cooker to make quinoa? Yes! Just use the 2:1 liquid-to-quinoa ratio and follow the instructions on your rice cooker. Here is how you cook perfect, fluffy quinoa every time! Rinse the quinoa: Measure 1 cup of quinoa and place into a fine-mesh strainer. Rinse thoroughly with cool water for about 2 minutes. Rub and swish the quinoa with your hand while rinsing. Drain. Toast quinoa in saucepan (optional): Heat a drizzle of olive oil in the saucepan over medium-high heat, and add the drained quinoa. Cook, stirring, for about 1 minute to let the water evaporate and toast the quinoa. Add liquid and bring to a boil: Stir in 2 cups of water or broth and the salt. Bring to a rolling boil. Lower heat and cook, covered, for 15 minutes. Turn heat down to the lowest setting. Cover and cook for 15 minutes. Let stand, covered, for 5 minutes: Remove the pot from heat and let stand for 5 more minutes, covered. Don't peek! Fluff and eat! Remove the lid — You should see tiny spirals (the germ) separating from and curling around the quinoa seeds. Fluff the quinoa gently with a fork, and serve. If any liquid remains in the bottom of the pan or if the quinoa is still a bit crunchy, return the pot to low heat and cook, covered, for another 5 minutes, until all the water has been absorbed.